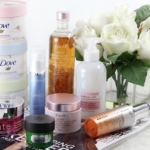 Cleansers are one of those beauty products that don’t usually get a lot of attention. 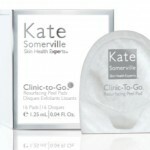 But KateCeuticals Moisture Milk Cleanser got my attention from the first pump. I only needed that first whiff of orange blossom to know I would love it. I started using this cleanser while I was testing the PaloVia Skin Renewing Laser, so I definitely needed something extremely gentle and nurturing for my skin. No worries. This sulfate-free, creamy cleanser can be placed onto a wash cloth or tissue and removed that way, or you can wash it off as you would any cleanser. The formula in KateCeuticals Moisture Milk Cleanser includes vitamins and natural plant extracts to cleanse, brighten and gently exfoliate. Kukui, Macadamia and Coconut Oils moisturize the skin. I love how my skin feels after using it–comfortable, moisturized and supple; never stripped. As someone with combination skin, I don’t usually use a cream cleanser, because I often find them too heavy for my skin. That is honestly not the case with this one; there is no heavy feeling or greasiness at all. 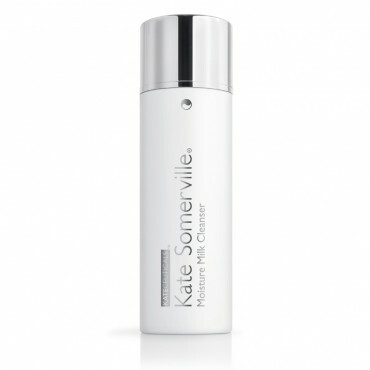 If you’re looking to try a new cleanser, I can highly recommend the Kate Somerville KateCeuticals Moisture Milk Cleanser. It retails at $58 for 5 oz. and is available exclusively at Neiman Marcus, Bergdorf Goodman and KateSomerville.com.